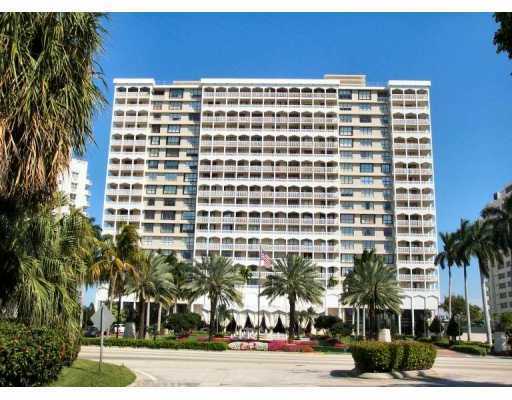 Located in stunning Bal Harbour the Balmoral offers owners the opportunity to live the luxurious lifestyle the demand. The city is home to some of the world's finest shopping options, such as Versace and Gucci, as well as delectable dining options that will delight your taste buds. The Balmoral lies at the very heart of all this incredible wonder, giving you immediate access to all the options that you crave. Rising 21 stories over the city, the Balmoral offers you 2-bedroom, 2-bath homes in the very lap of luxury. 423 units throughout the property offer you the spacious floor plans that you need. Floor plans range from 1388 square feet to 2010 square feet and offer four very different options. Every unit features marble floors, complete kitchens with state of the art appliances and incredible style. The outdoor heated pool offers you a great place to relax any time of year, while the sundeck is the best place to soak up the sunshine. After a hard day of swimming and relaxing, venture to the sauna for some much-needed relief. The fitness center on property offers state of the art work out machines for your health and convenience, as well. The opulence of the rooms continues throughout the property. The lobby features imported marble flooring, with stunning dcor and is one of the best places to relax on property. However, if you simply venture outside the doors, you'll find that you have immediate beach access. The white sands and cool, crystalline waters of the Atlantic beckon you to explore the area, soak up the sun on the beach or simply enjoy the amazing ambiance and atmosphere that is Bal Harbour.